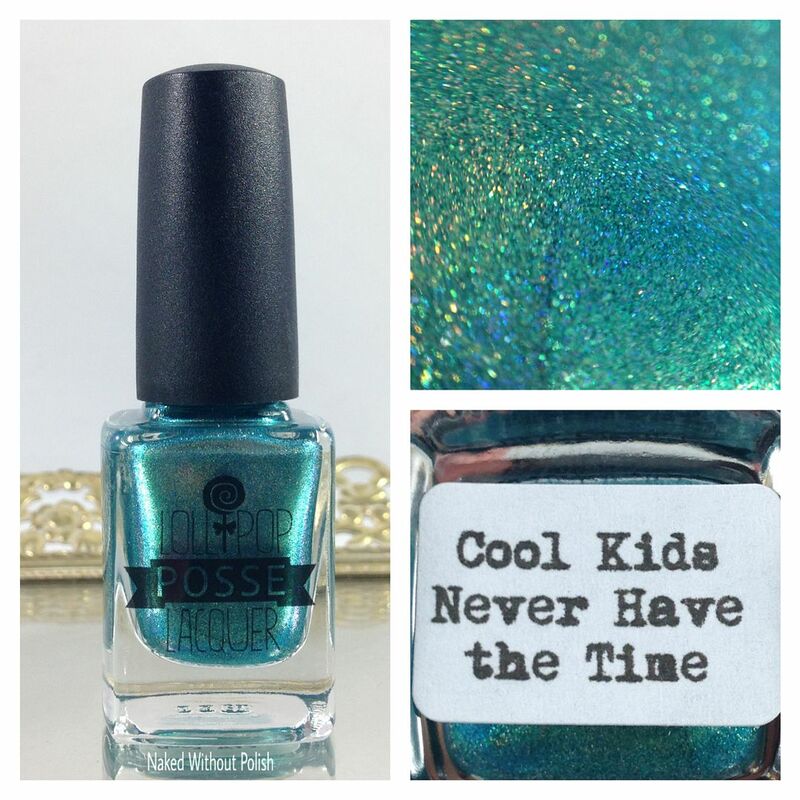 Cool Kids Never Have the Time is described as "a turquoise base that is packed with blue-gold shifting shimmer and linear holo pigment". 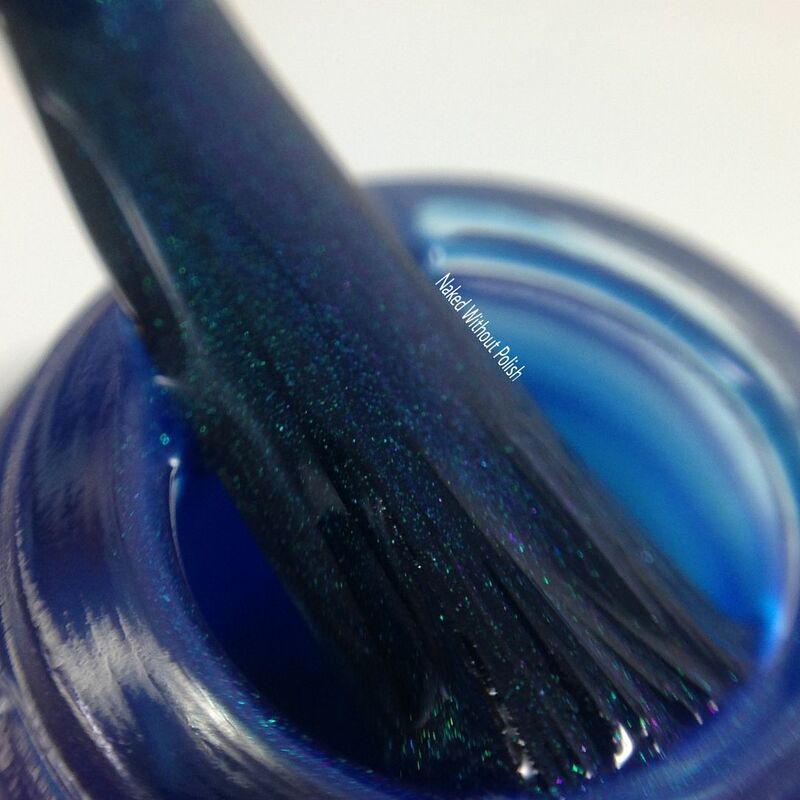 Shown is two coats of Cool Kids Never Have the Time with top coat. Cool Kids Never Have the Time is so intense...it almost seems like a foil when you apply it. 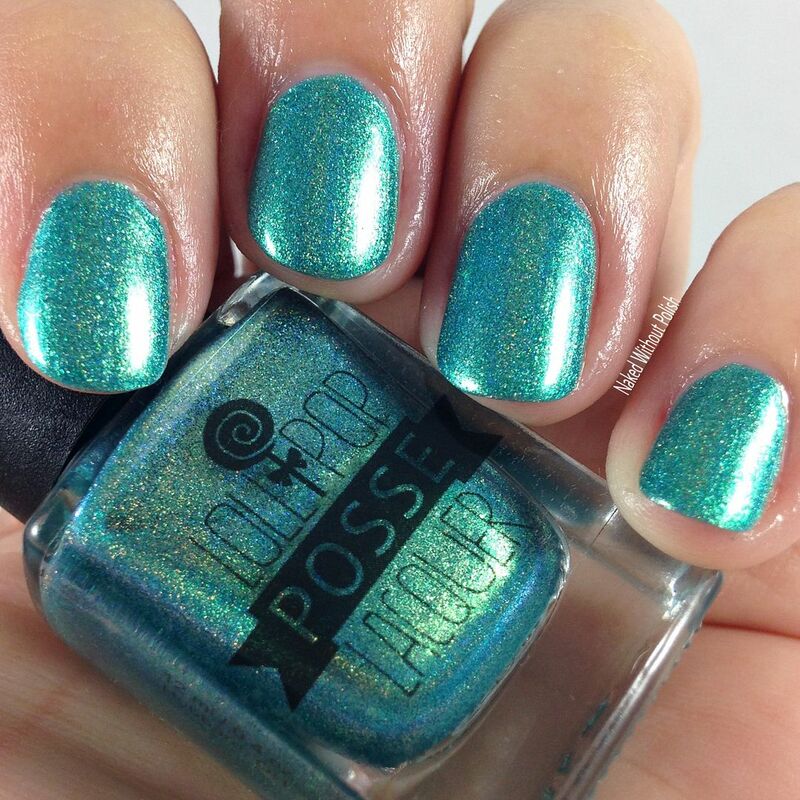 A beautiful shade of teal-leaning turquoise, this polish will quickly become a favorite. 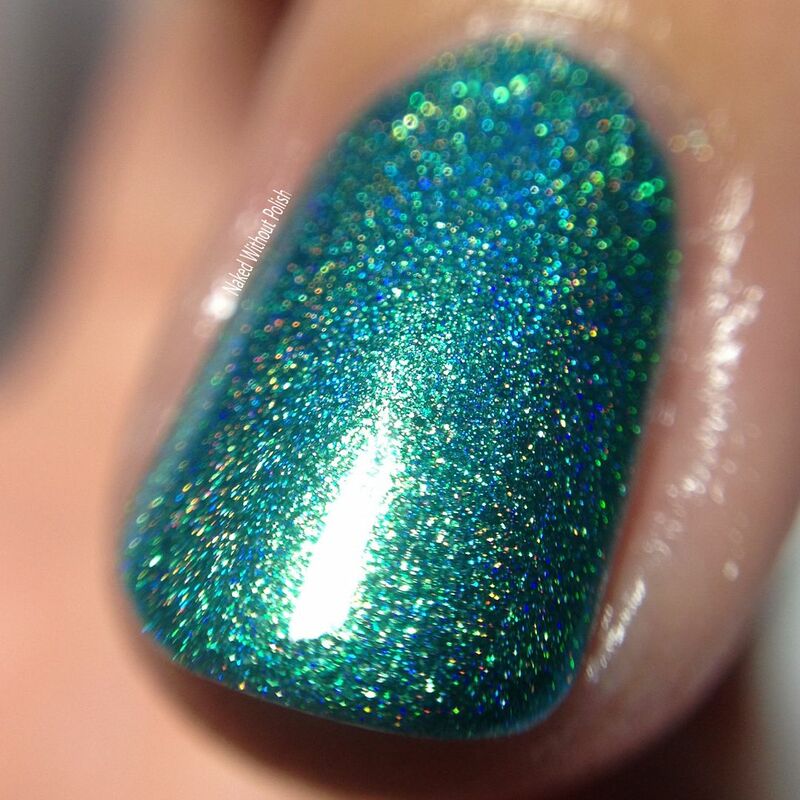 I tried to get the shifting shimmer to come out in photos. 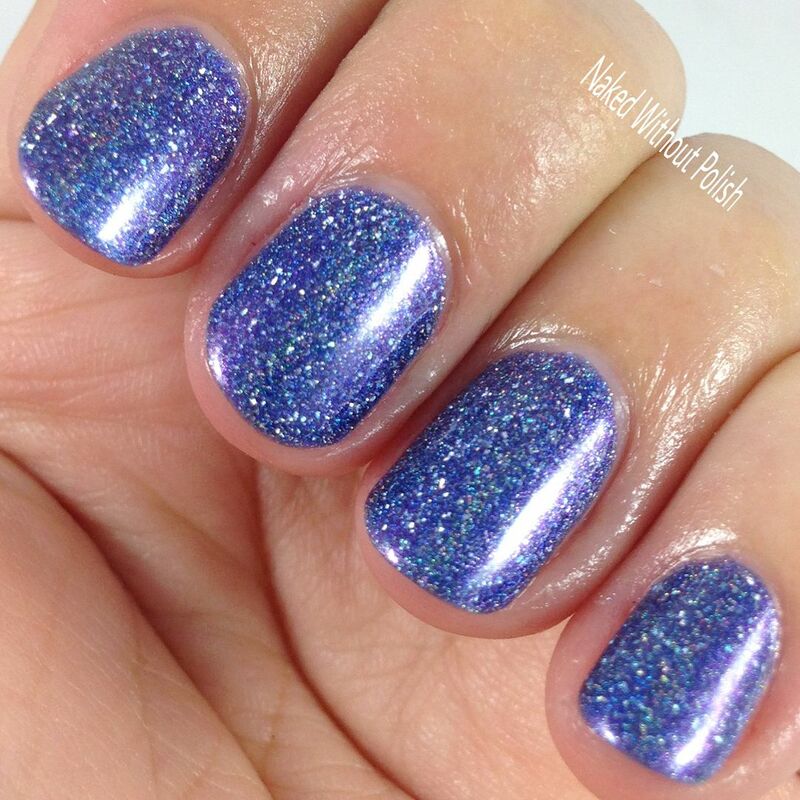 It was hard to capture because the holo really makes it a point to be front and center. 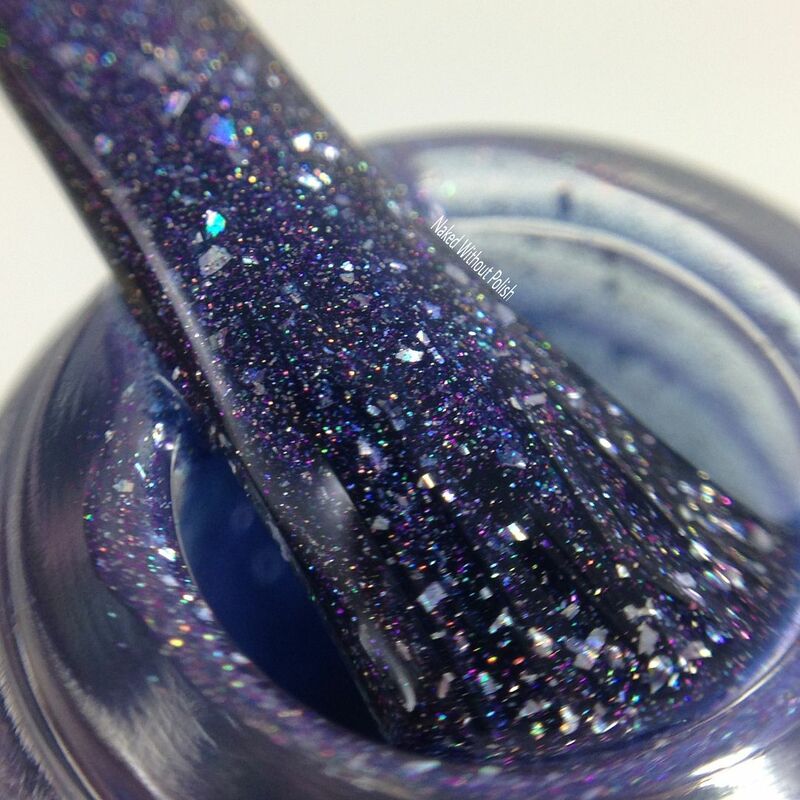 You can kind of see the flashes of blue and gold at certain points, but trust me when I saw this polish comes to life in person. 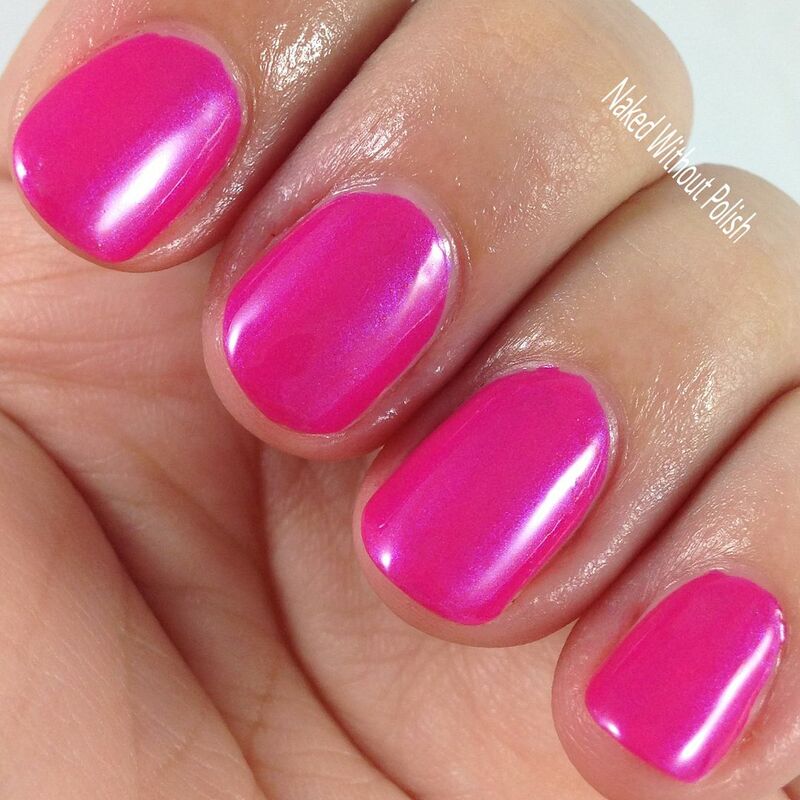 Smooth application and flawless formula. 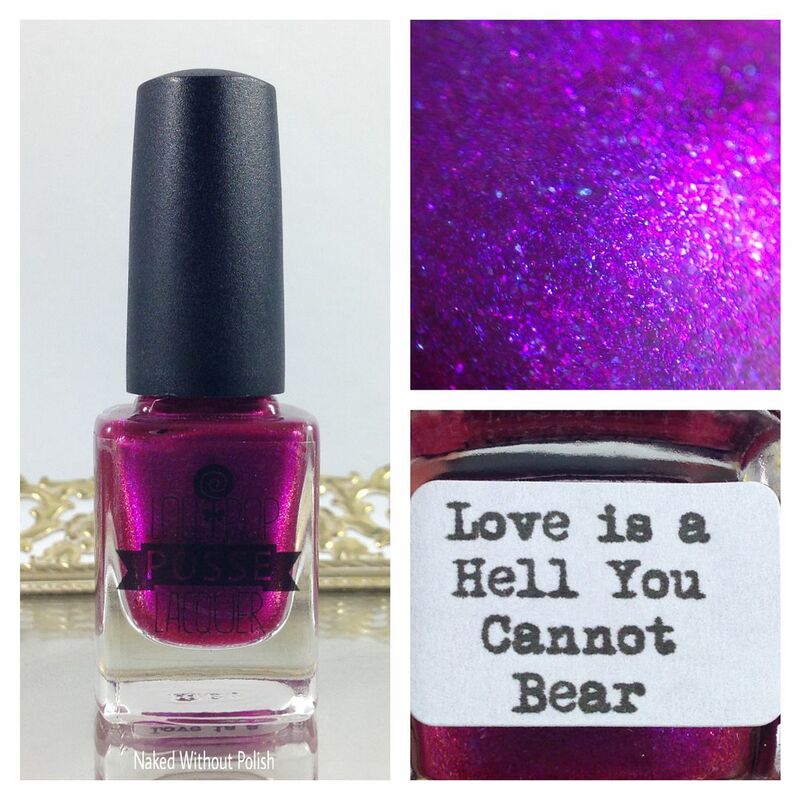 Love is a Hell You Cannot Bear is described as "a magenta crelly filled with violet to blue shifting shimmer and micro flakes". 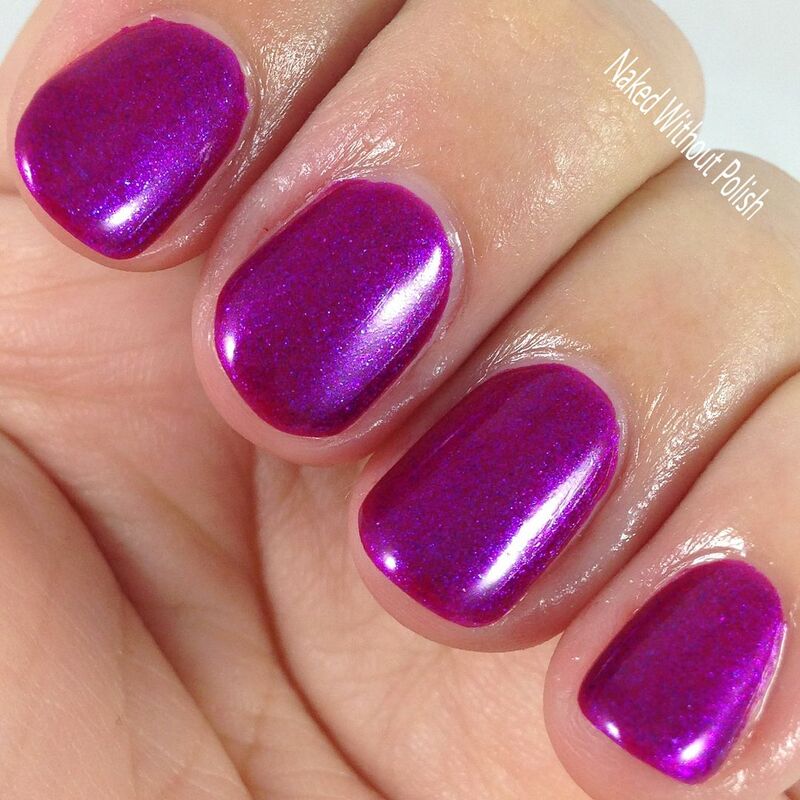 Shown is three coats of Love is a Hell You Cannot Bear with top coat. Love is a Hell You Cannot Bear is squishy jelly heaven! Yes, the description says crelly, but it is jelly leaning. It Applies like a dream. No issues whatsoever. 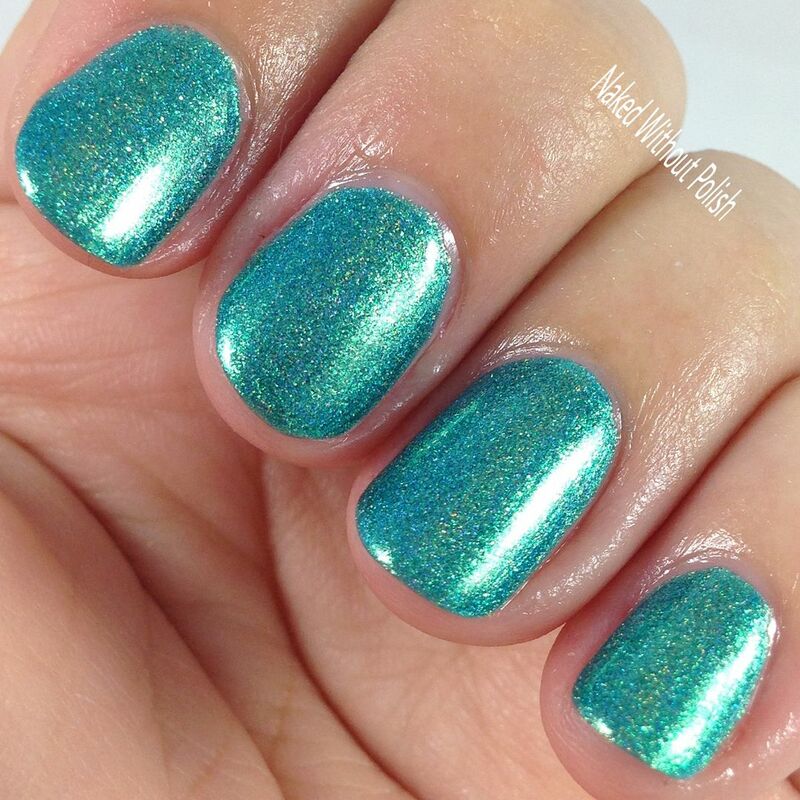 You could easily get away with two coats of this, but I wanted a bit more shimmer so I added the third coat. 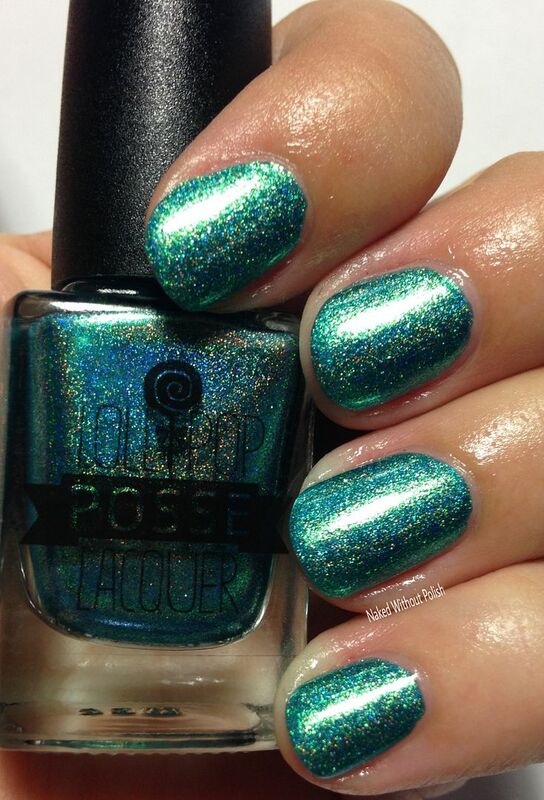 I find it funny that this polish goes with the name because I love it so damn much. It is hard not to. 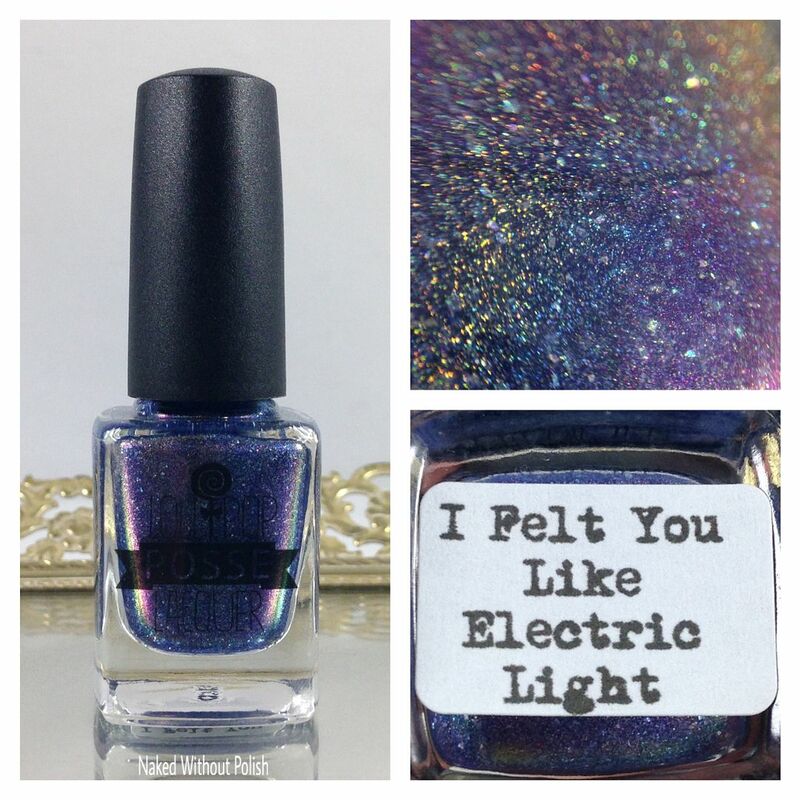 I Felt You Like Electric Light is described as "a duochrome linear holographic that also suspends holographic micro flakes. The blue base contains a cyan to blue to purple shift...maybe even a bit of copper". 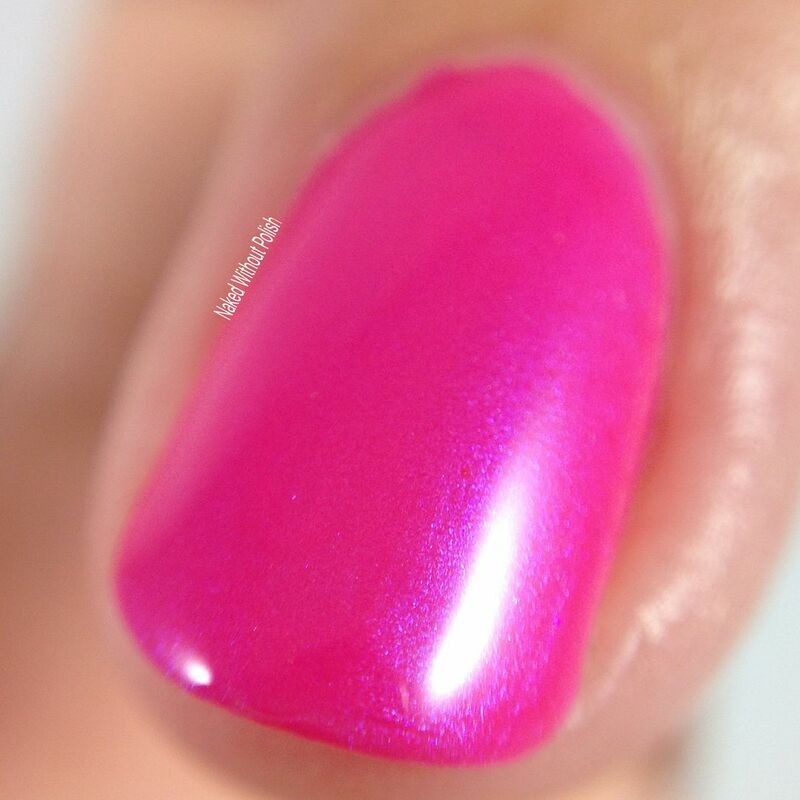 Shown is two coats of I Felt You Like Electric Light with top coat. I Felt You Like Electric Light is everything! I had to pull myself away from playing with the bottle to be able to put it on my nails. 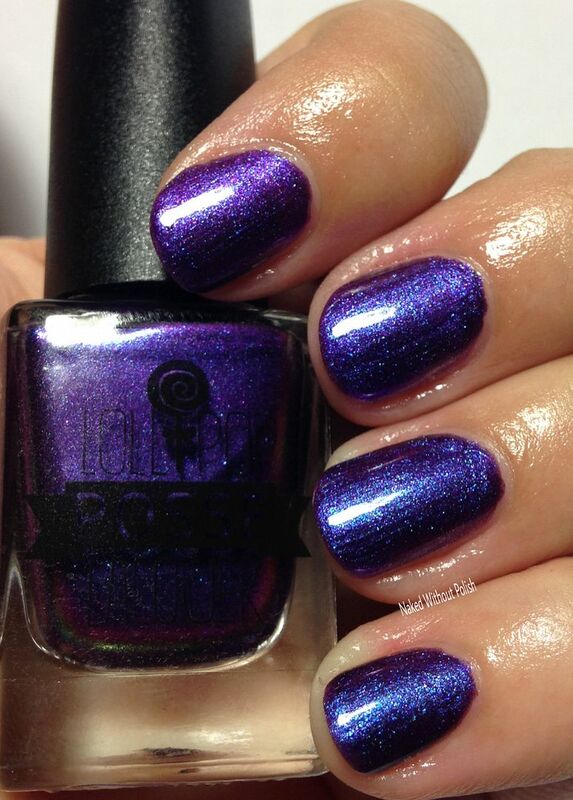 This is another intense polish. 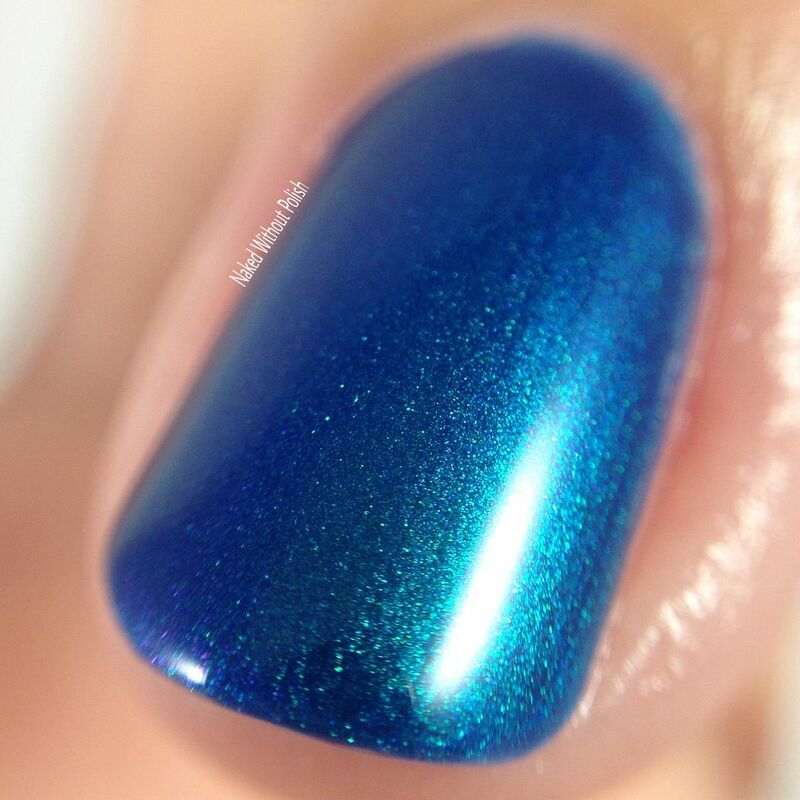 The blue is beautiful, the holo is beautiful, the shift is beautiful. Surprisingly, not a single one of them gets in the way of the others. 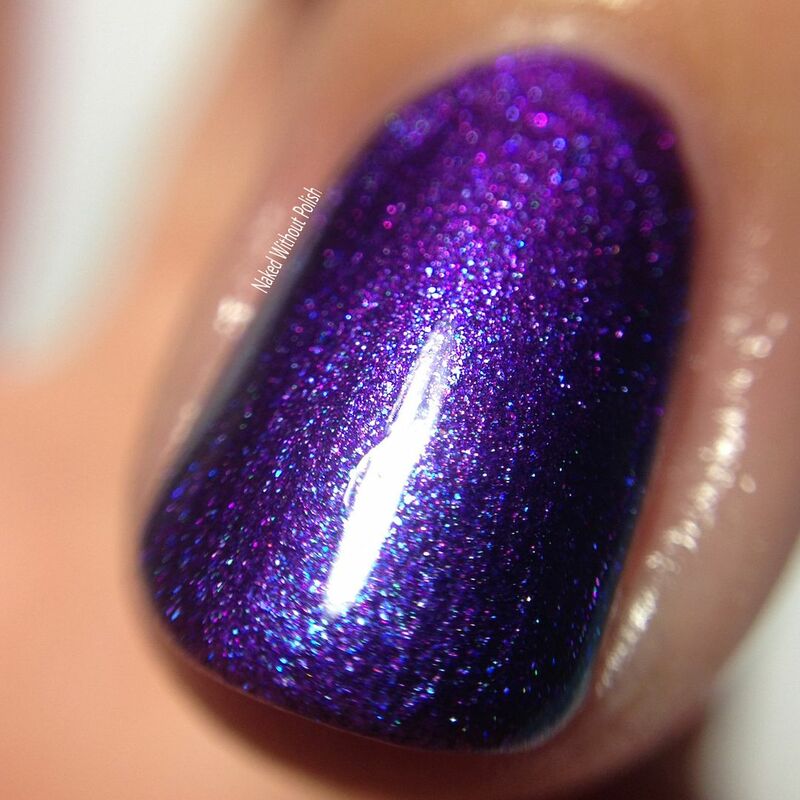 It is an incredible polish! So much going on, but it makes sense. Easy application and smooth formula. 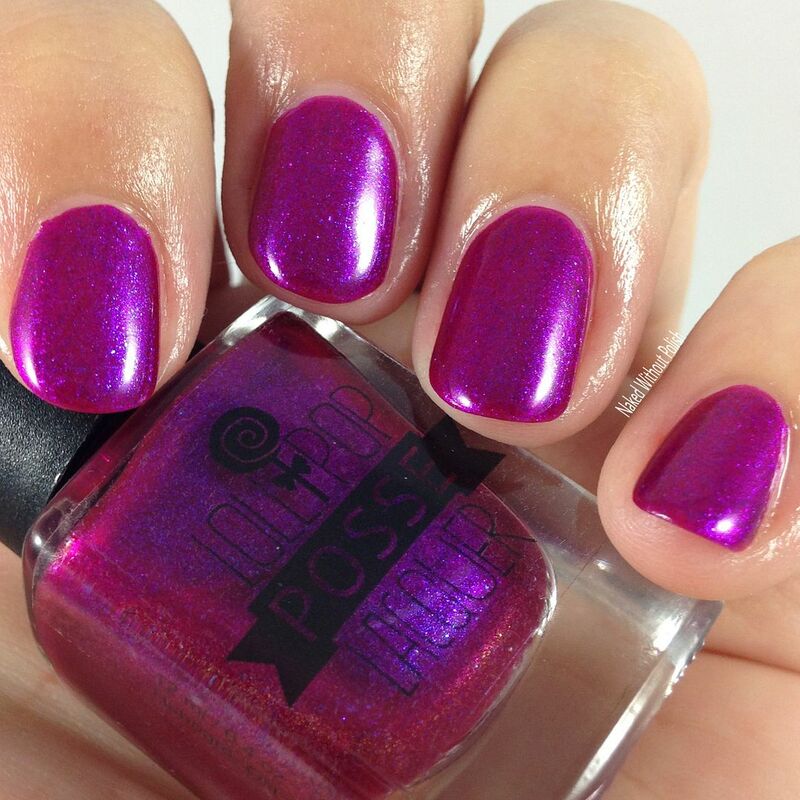 Love the One You Got is described as "a richly pigmented pink creme with a violet-blue flash". 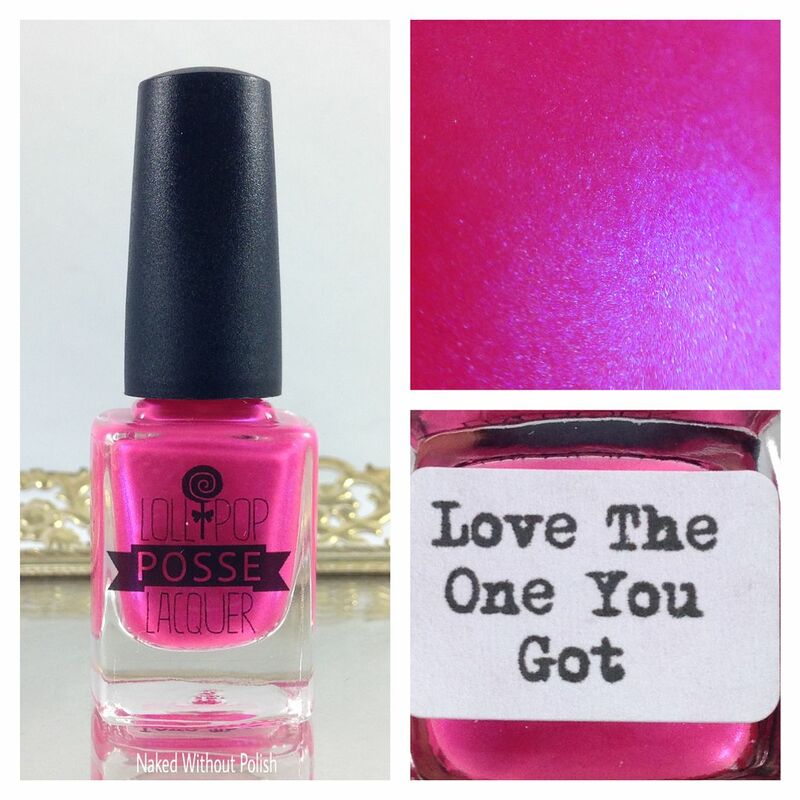 Shown is one coat of Love the One You Got with top coat. Love the One You Got caught me off guard. 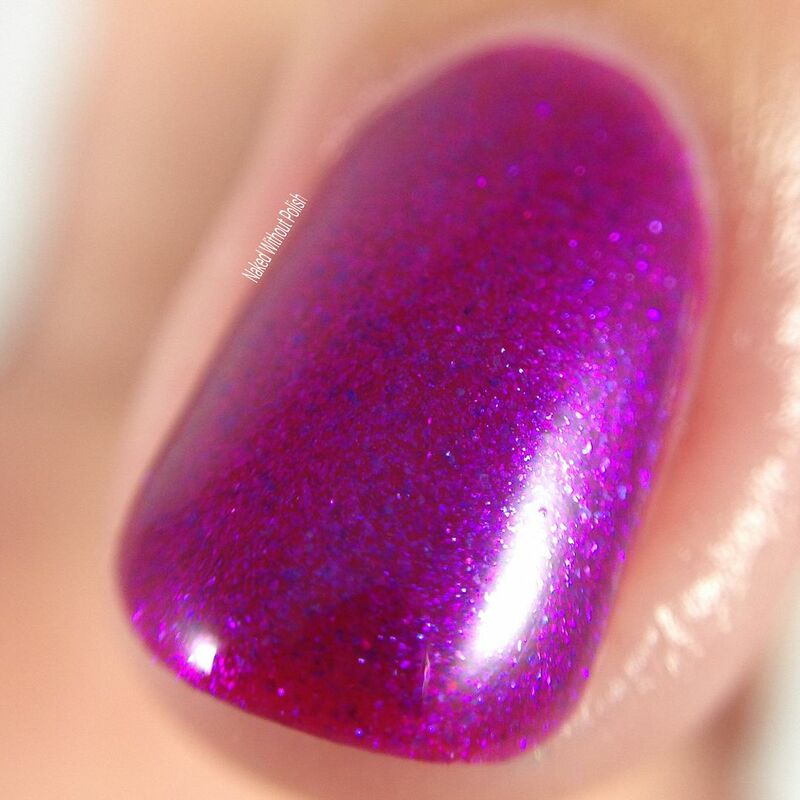 I couldn't believe this was a one coater that didn't stain my nails!! 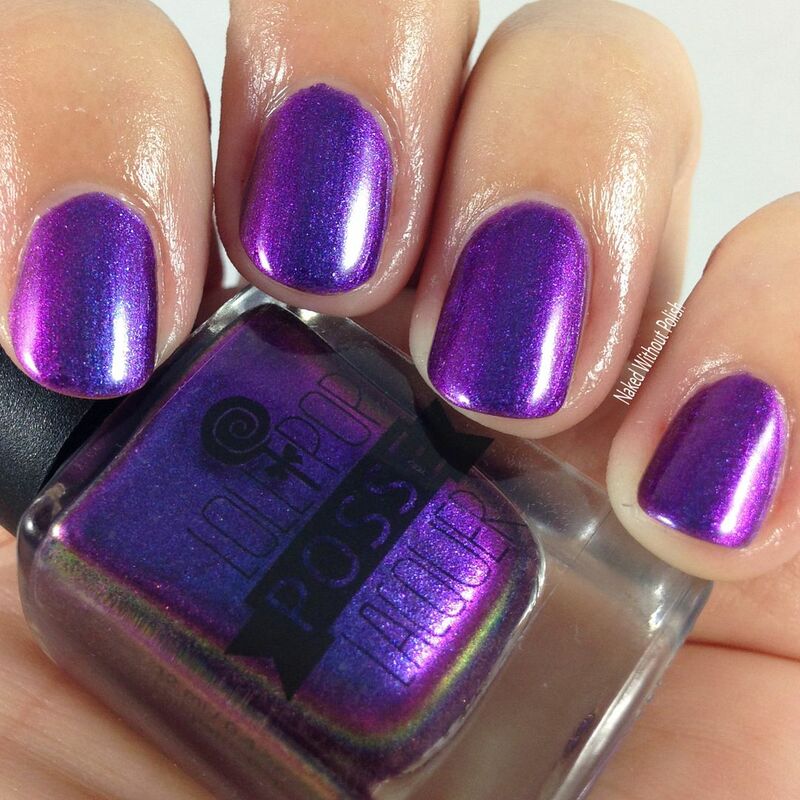 The flash of violet-blue is beautiful and not hidden at all. When she says this is "richly pigmented" she isn't joking. It's so opaque and creamy. It is flawless in every way imaginable. 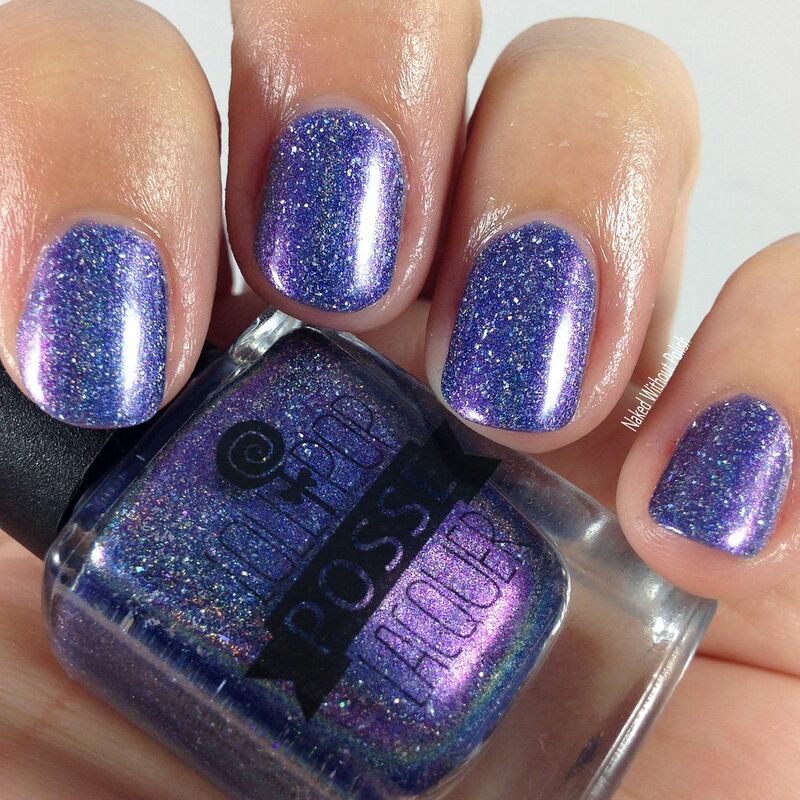 Prism Perfect is described as "a black crelly that is loaded with purple and sapphire holographic micro glitters and a dusting of silver holographic pigment". 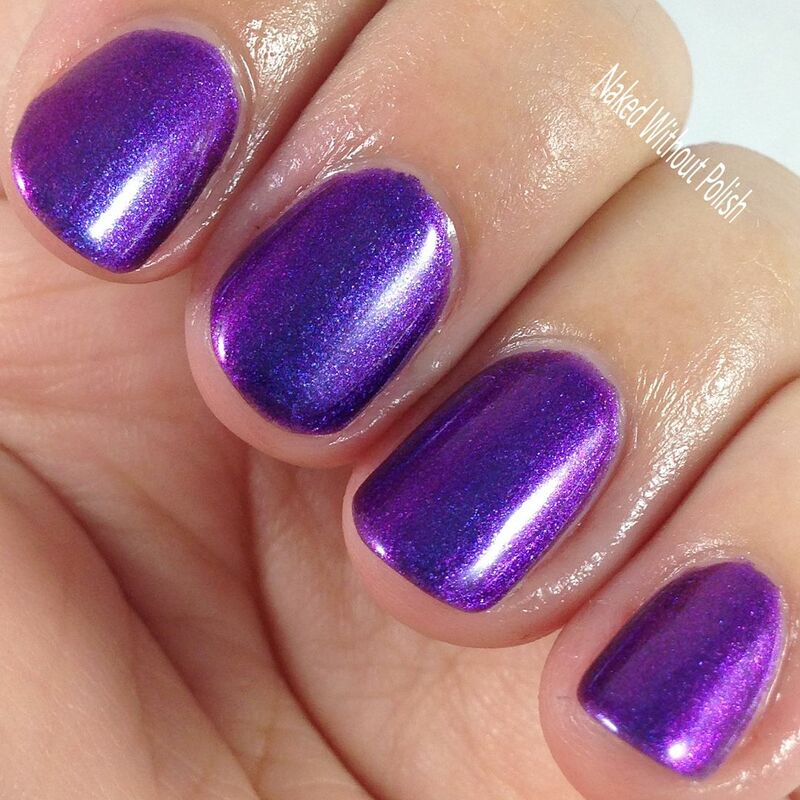 Shown is two coats of Prism Perfect with top coat. 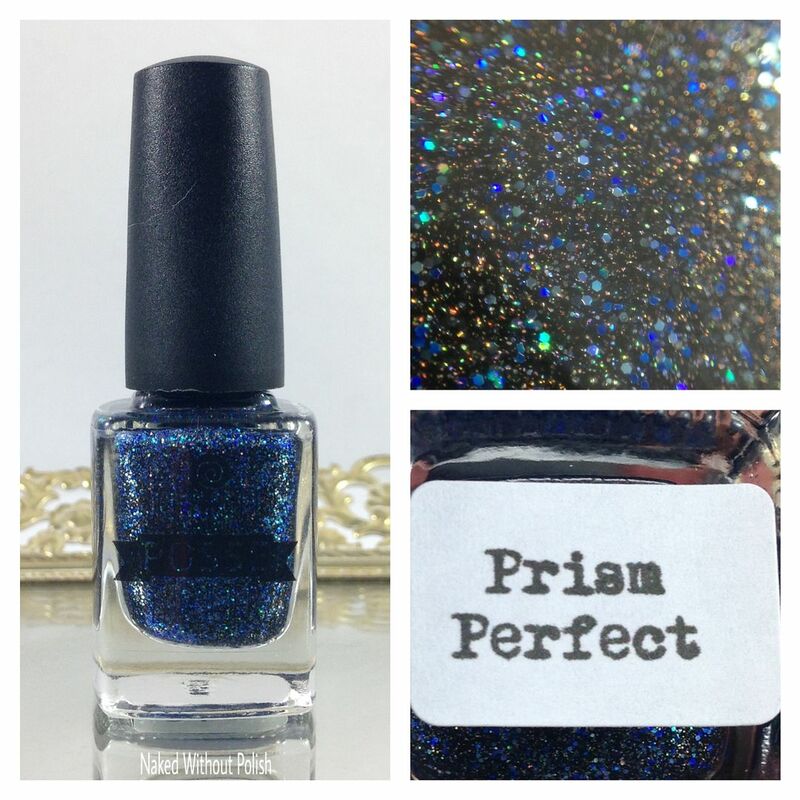 Prism Perfect is a black beauty! I love all types of polish. 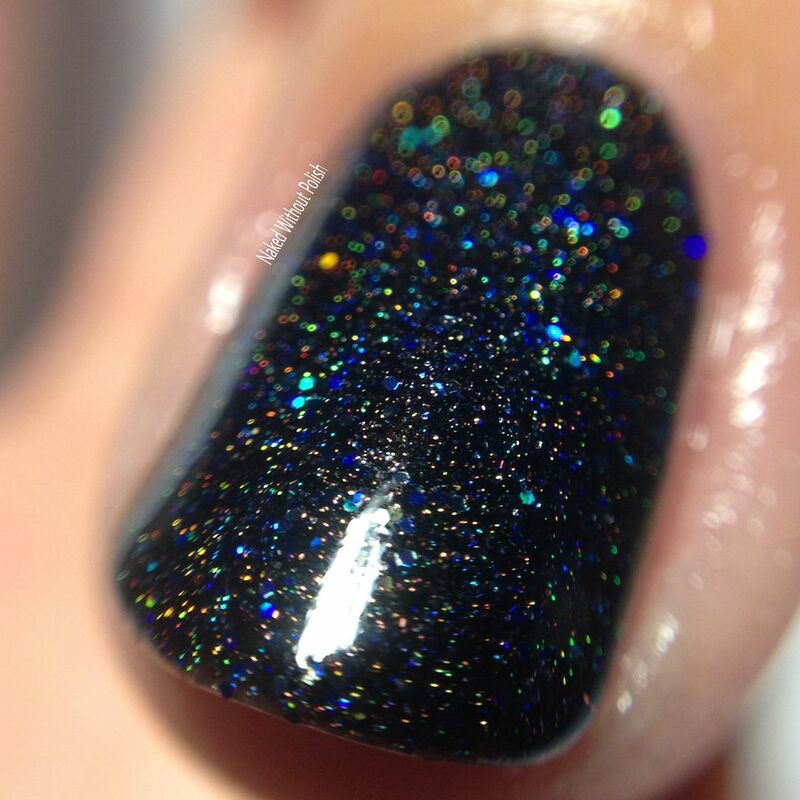 I do have a soft spot for black polishes though. 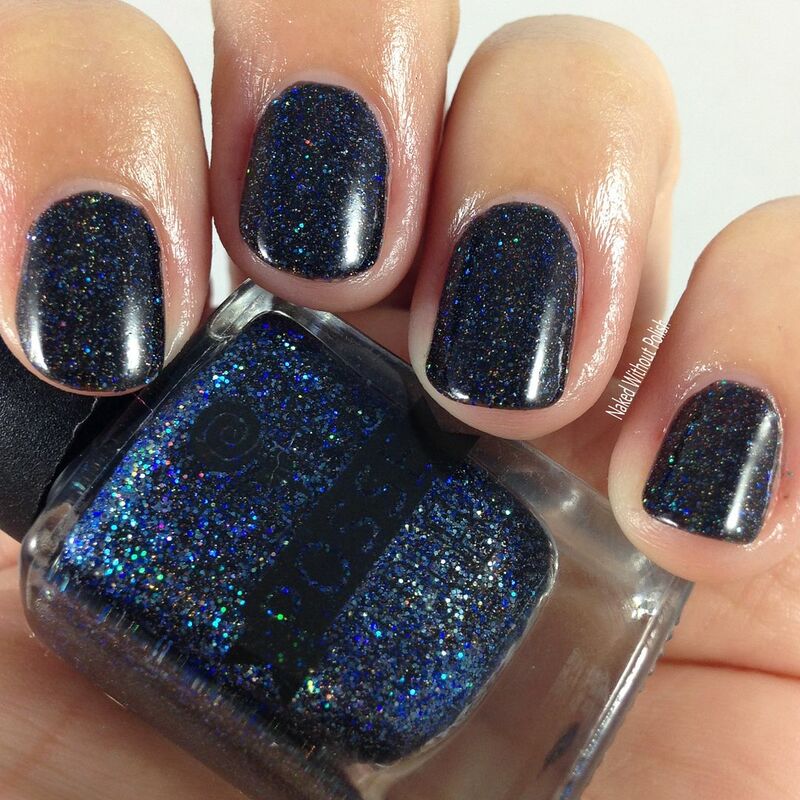 Most of my favorite brands have become my favorite after trying, and falling in love with, a black polish of theirs. This is no exception. 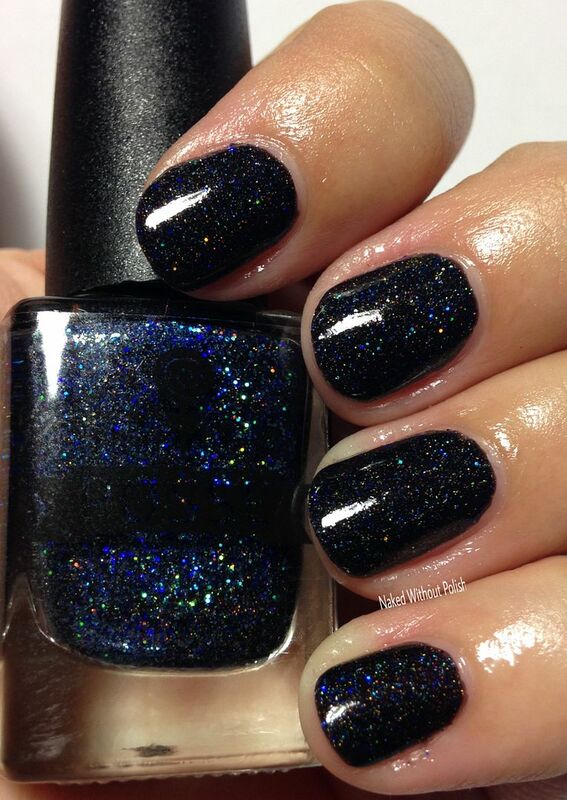 It is a black base, but the amount of sapphire glitter in there almost makes it look completely blue at certain angles. It is sparkly as hell, but the camera wouldn't let me capture that. 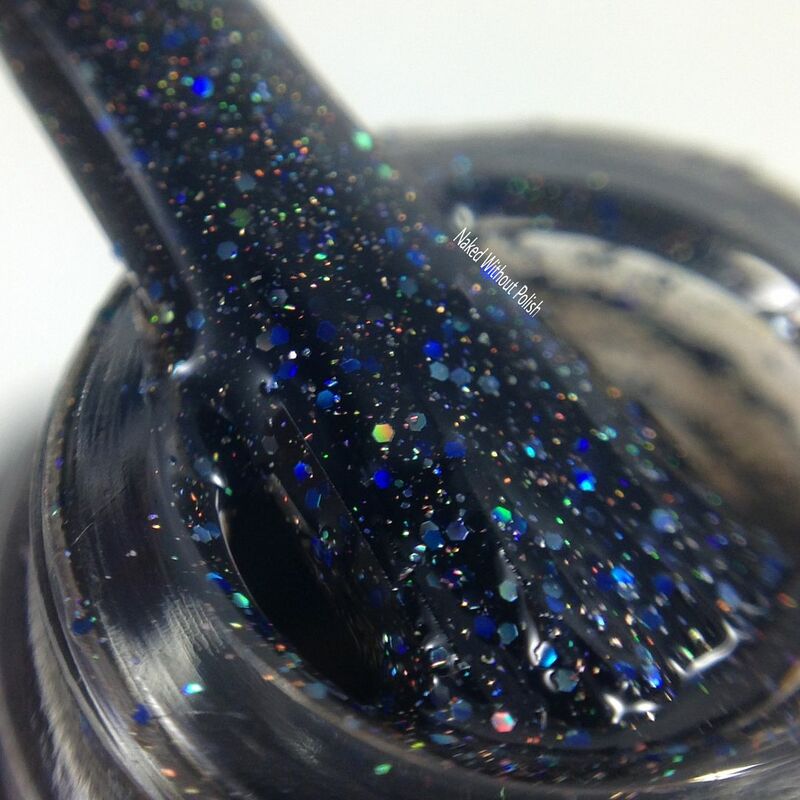 (The only downside to black sparkly polishes.) 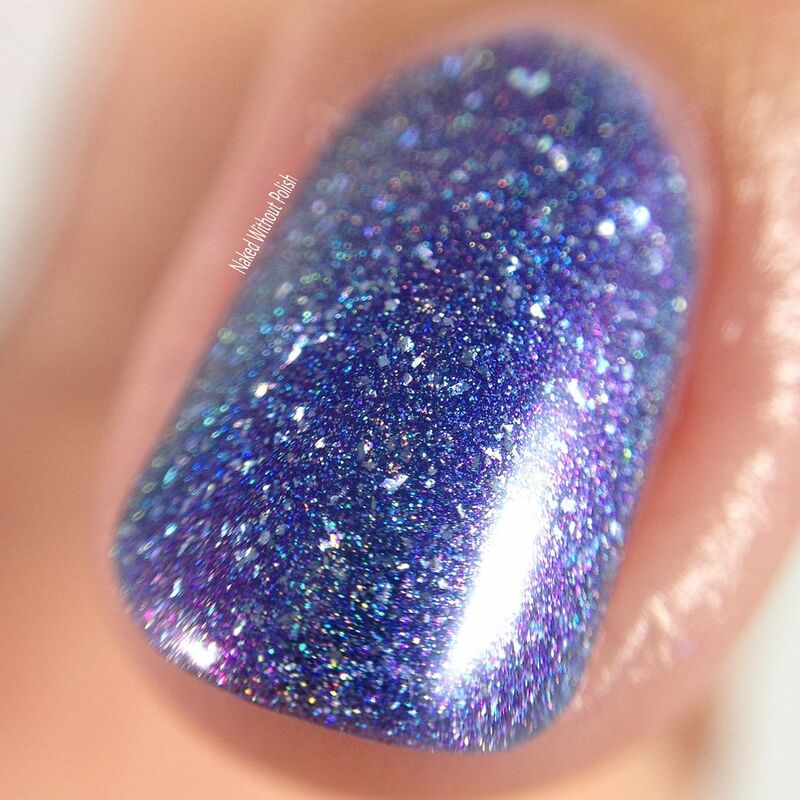 Top coat is definitely required for this one to smooth out the glitter. 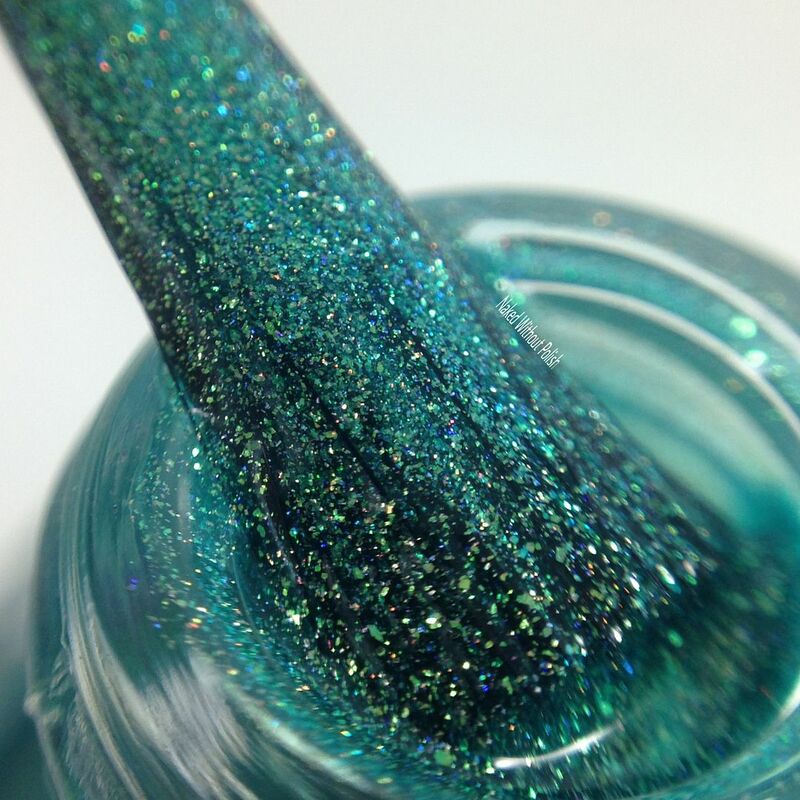 The Get-Fresh Flow is described as "a blue-green shimmered base that also contains duochrome pigment that shifts between green, blue, violet, pink/red". Shown is two coats of The Get-Fresh Flow with top coat. 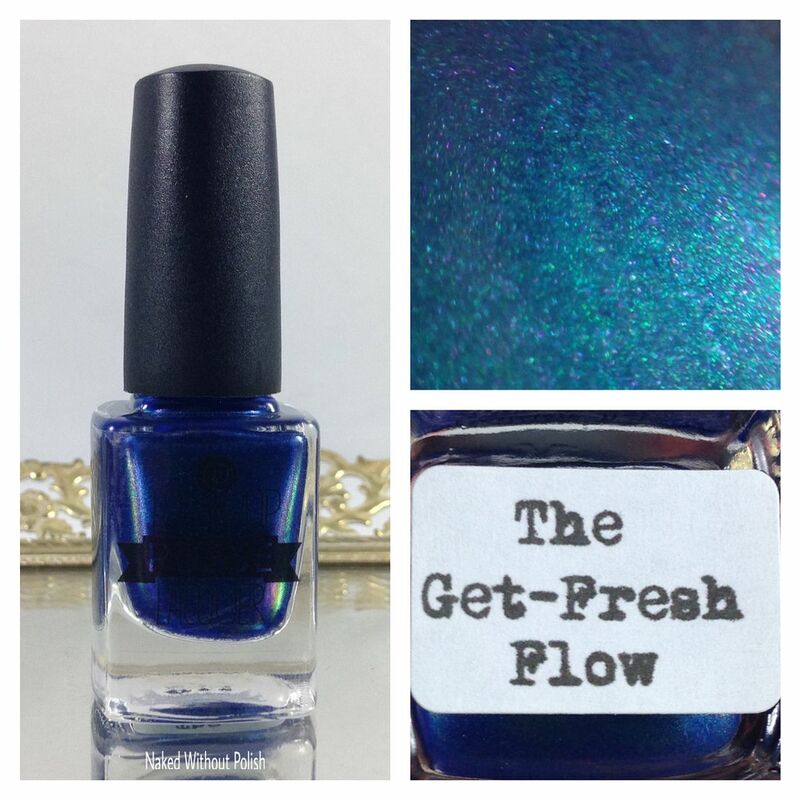 The Get-Fresh Flow is going to put a smile on your face instantly! 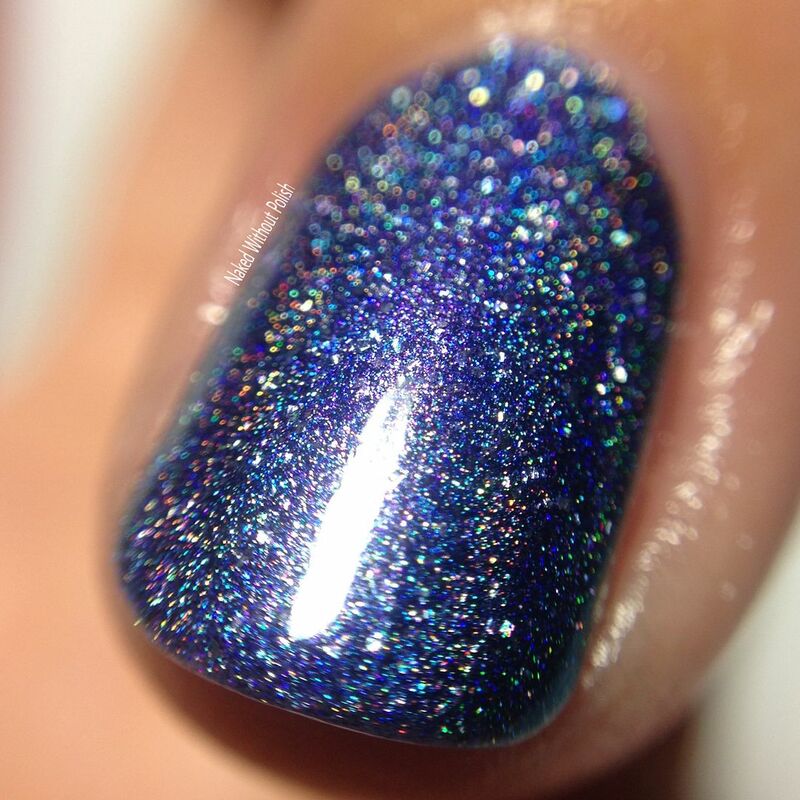 It may not have holo or anything flashy in it, but it is just a very happy polish. Smooth application, and the surprising part is that it only needed two coats. I thought it was going to be sheer, but I was wrong. I couldn't capture the chrome shifts, but trust me...it is definitely there! 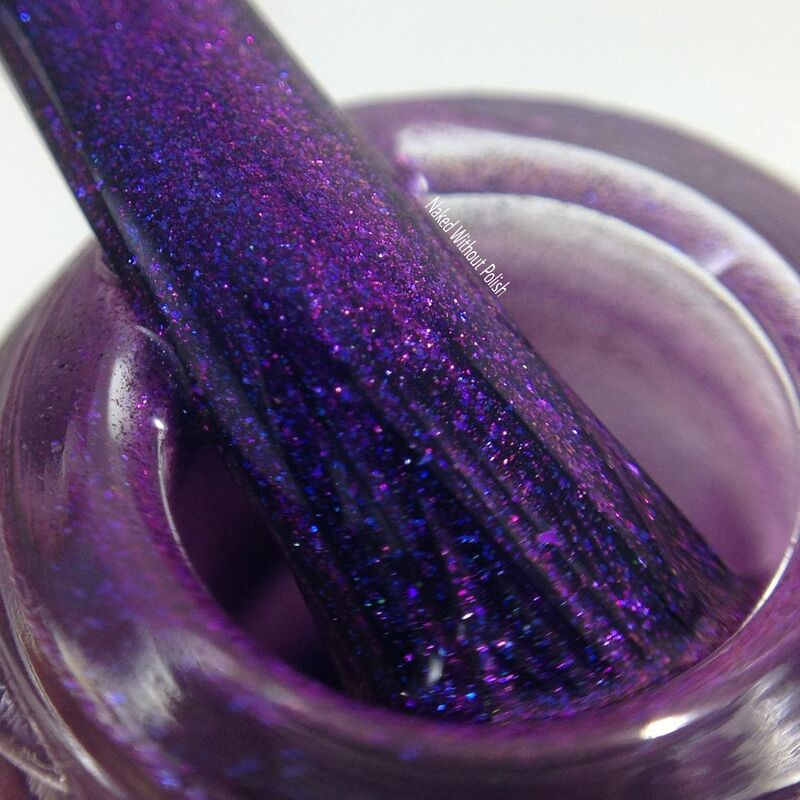 The Devil in Me is described as "a purple base that is filled with violet to blue shifting shimmer and duochrome pigment that shifts between purple, blue, and copper". Shown is two coats of The Devil in Me with top coat. 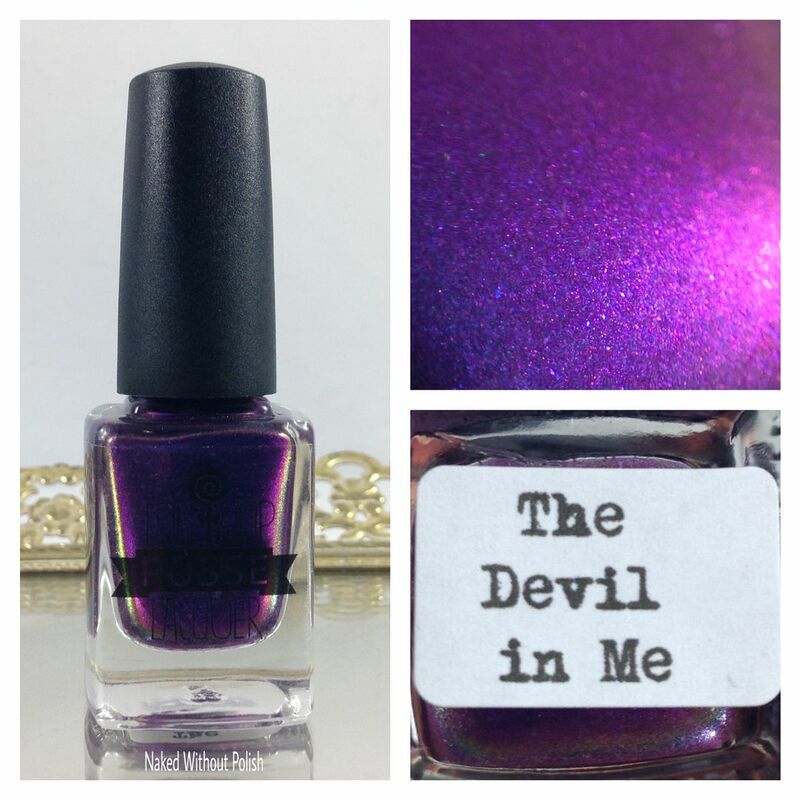 The Devil in Me is another one of Karen's amazing purples. (I swear, she has a magical purple power or something. They are always amazing!) If this is the work of the devil, then I don't see anything wrong with being evil. This polish is deep, but the blue flash gives it this glow about it. 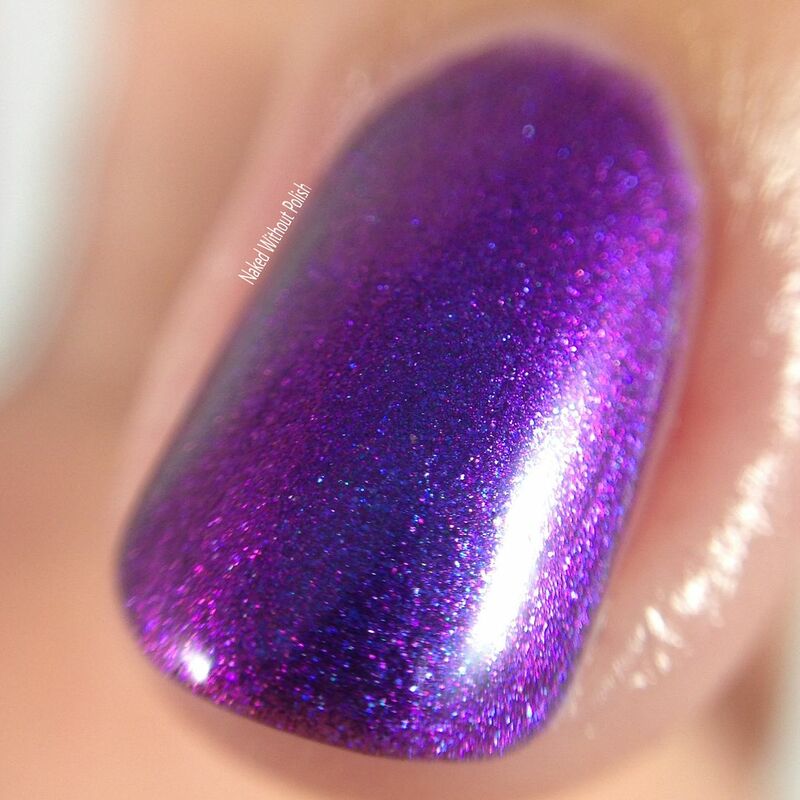 You need this polish...that is all. If the Summer of '96 Collection doesn't make you want to put on an over sized pair of denim overalls, white tee, oversized flannel shirt, brown lipstick, chunky Doc Martens, and throw your hair into a messy pony tail...you're crazy!! I loved everything about this collection. A wonderful throw back to a great year in music! 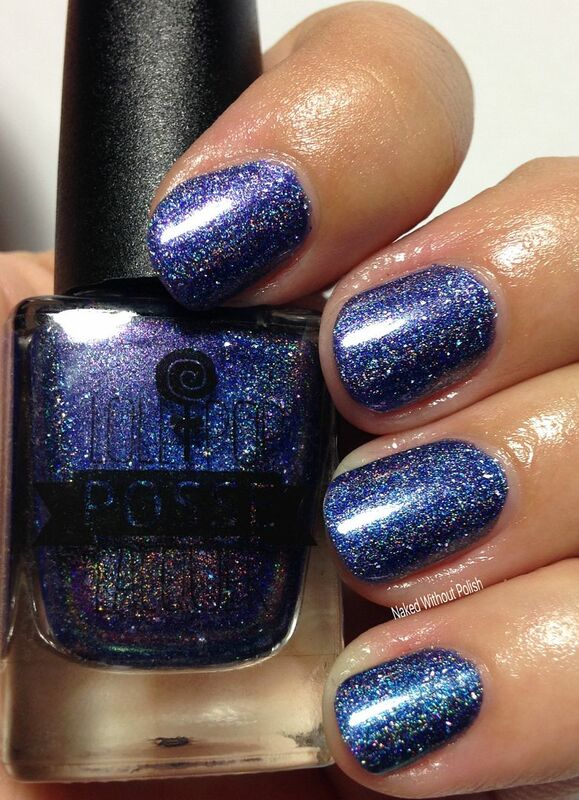 Karen at Lollipop Posse Lacquer did a beautiful job with this polishes. 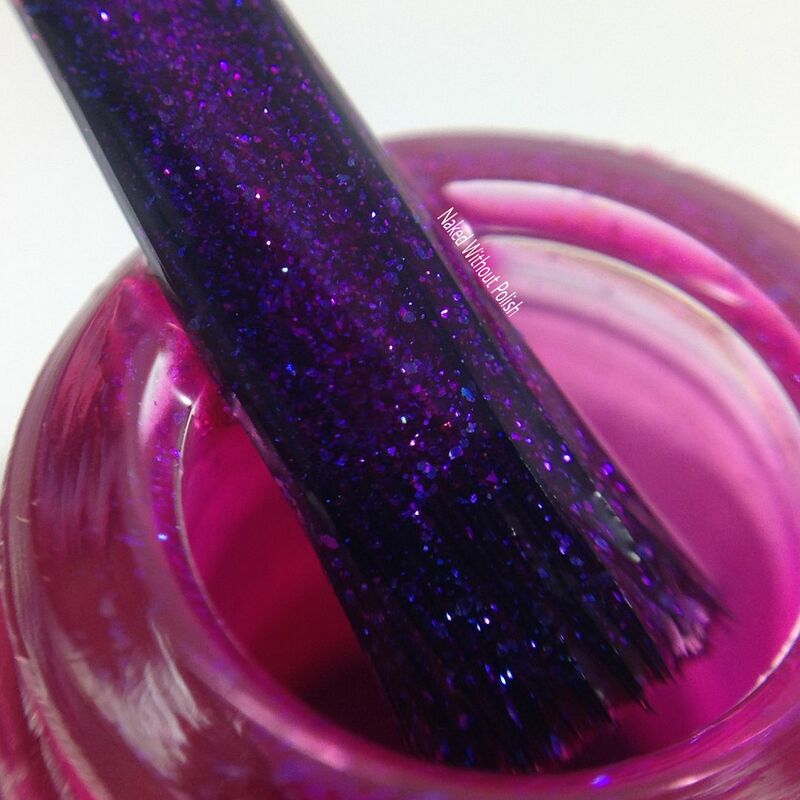 Beautifully pigmented for opacity, great applications and formulas, and incredible inspirations! You can't go wrong with any of them! 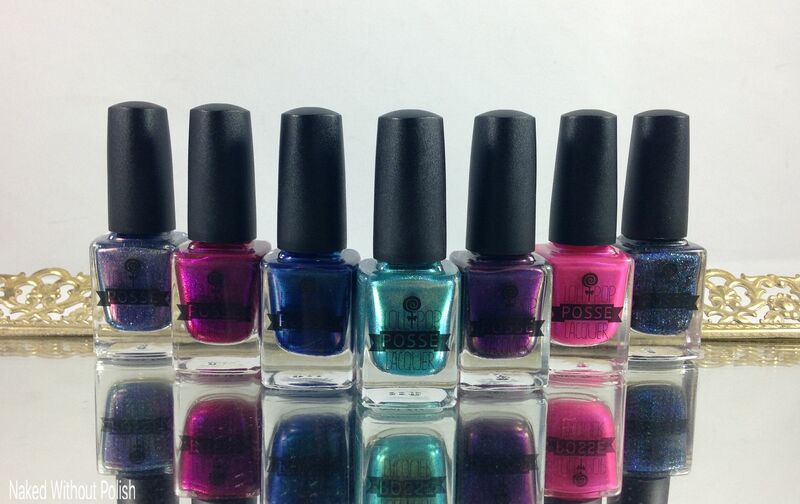 The Summer of '96 Collection will be available at http://lollipopposselacquer.bigcartel.com/ tonight at 7 pm EST. You'd be crazy not to grab the full collection for $72 (which includes free US shipping and discounted international shipping). If only a few are catching your eye, no worries, they are available individually for anywhere between $9.50 and $12. Still very reasonably priced! 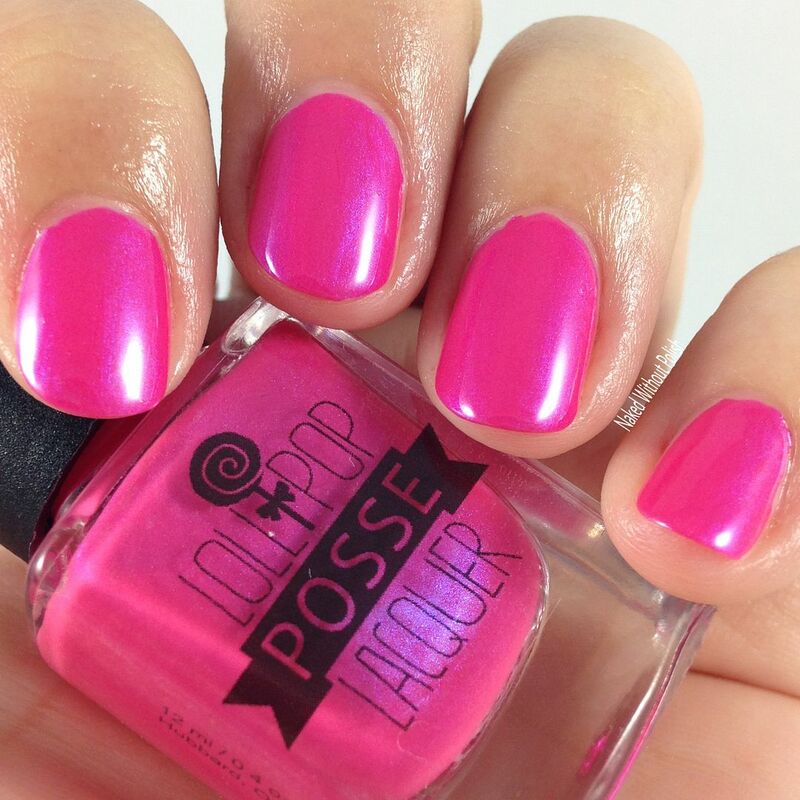 Make sure you are following Lollipop Posse Lacquer on all of her social media platforms (links below) to stay updated on news, releases, and sales. What do you all think? Which of these will you be grabbing?